Click here to take the brief 2019 Planning and Priorities Survey by May 3! 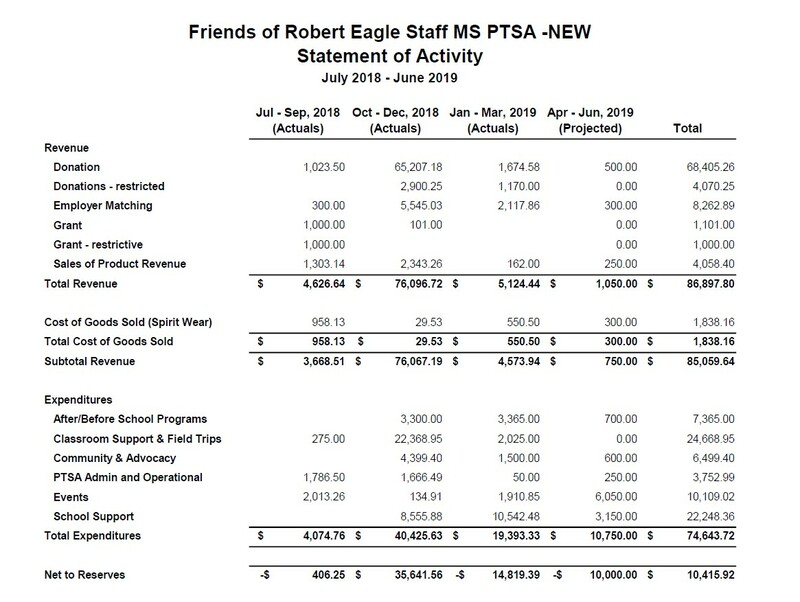 Plan to support additional activities this year, including new student outreach, 8th grade promotion, and more! Thanks to our generous community, we raised over $80,000 this year, with 38% participation. Please help us plan for next year, by answering this short survey before May 3 about our spending and activity priorities, as well as to provide your ideas and feedback. Take Survey Now! If you would like to volunteer for a board position or a committee role, please let us know. Our community’s commitment makes our school a great place for our students to learn, thrive, and succeed. Friends of Robert Eagle Staff MS PTSA (eaglestaffptsa.org) is a team of our school’s parents, teachers, students, and community members who work together to create an environment where every child connected to Robert Eagle Staff Middle School has a rich and rewarding middle school experience, allowing them to reach their full potential. 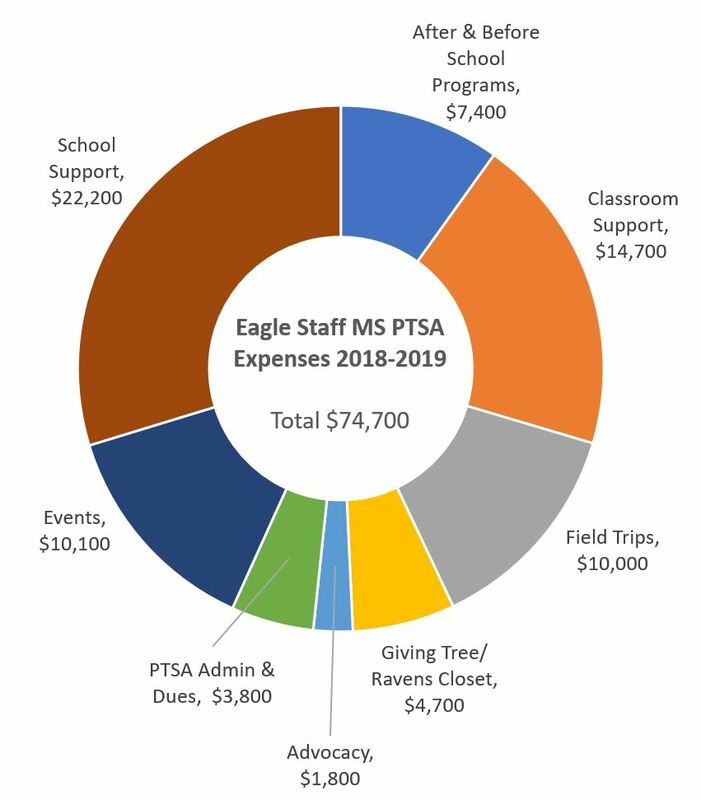 Eagle Staff MS PTSA is a member of the Washington State and National PTA organizations and is a registered 501(c)3 nonprofit.